They are gorgeous! I can’t decide which is my fave colour. Thanks for sharing at Just Add Ink. What a beautiful monochrome card in green hues. Those flowers are super pretty and I love this inking technique. Thanks for joining us at Less Is More! Wow, love all the different backgrounds. They look so effective over the white embossed flowers & bold sentiment. Glad you played along with us at Just Add Ink. Geweldig!! Alle drie even mooi. Ja, ook ik ben enorm fan van Jennifer. Lovely results with this technique. I must give it a try. Ilse, very inspirational cards! I have not yet tried Jennifer’s new technique. Maybe tonight. You got a beautiful result. 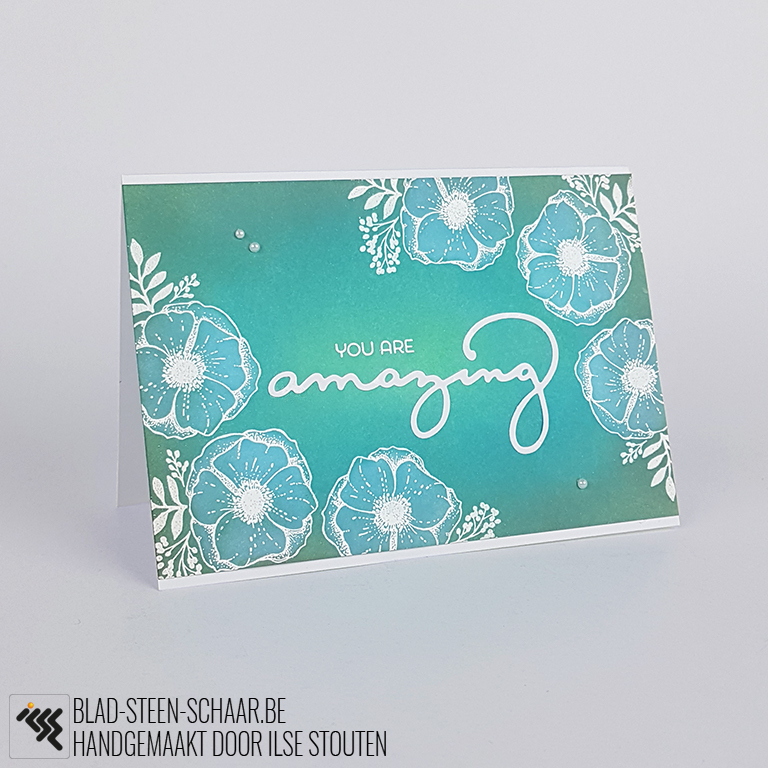 Thank you so much for sharing your card with us at AAA Cards Challenge. Elegant and beautiful cards. The green one is my favourite. Beautiful cards, love all the different colourways. Thanks for playing at AAA Cards. These are all so pretty! Thanks so much for joining us at The Card Concept.